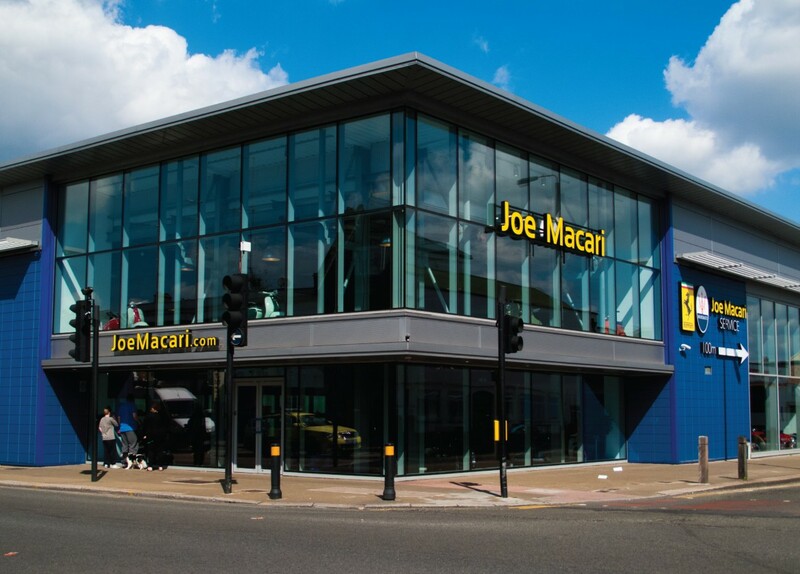 We've worked with Joe Macari since the early days of the Merton Road Showroom. Given their highly exclusive market, we needed to maintain a simple, bold yet effortless logo. It also had to clearly define the exterior of the building and be highly visible from the street. The site posed some challenges: special access equipment was required due to a large overhang on the main elevation, and diamond tipped drill bits were need for the ceramic cladding. The signage we designed, produced and installed included built-up painted steel letters and logos with LED illumination and acrylic faces, and digitally printed and laminated high quality vinyls, CAD-cut 8 and 10 year life calendared vinyls, finished with spray paint. The matt black outlines and shadows on the finished signage give a strong feeling of depth during the day and help to give a ‘floating’ effect at night. The finished showroom now houses some of the world’s rarest and most desirable cars, and is an absolute pleasure to view. Design, production and installation of LED illuminated, large format fabricated signage for new supercar showroom in Wandsworth, London. Re-creation and installation of illuminated Ferrari and Maserati logos – thought to be the largest in the UK. 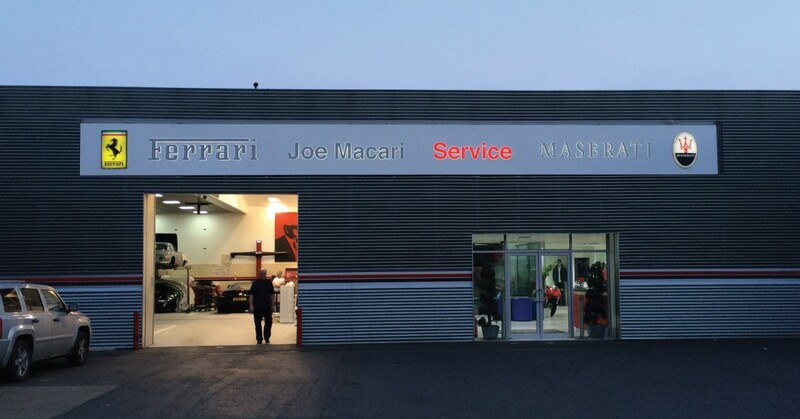 Refurbishment of Joe Macari Servicing exterior signage. 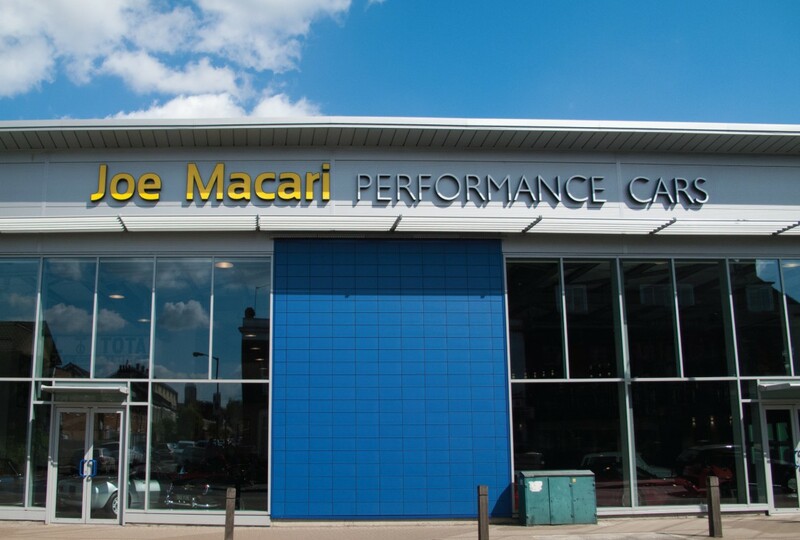 This was a bespoke sign originally made in Italy and prescribed by Ferrari and Maserati as official signage for the Service Centre in Kimber Road. We hand painted the built up letters and replaced the internals with waterproof LEDs and new wiring. The manufacturer logos were also updated with LEDs and new wiring. A updated Service sign was required to meet new Ferrari and Maserati guidelines in 2015 - we replaced the original Italian signage with a slimline fret-cut powdercoated aluminium sign with LED illumination, laser-cut stainless steel letter faces and one-off reproduction moulded Ferrari and Maserati logos.